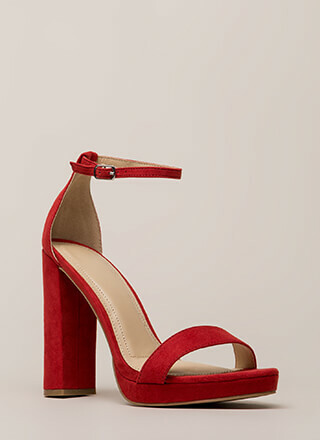 If you want these babies you better get 'em now -- they could be gone in a flash! 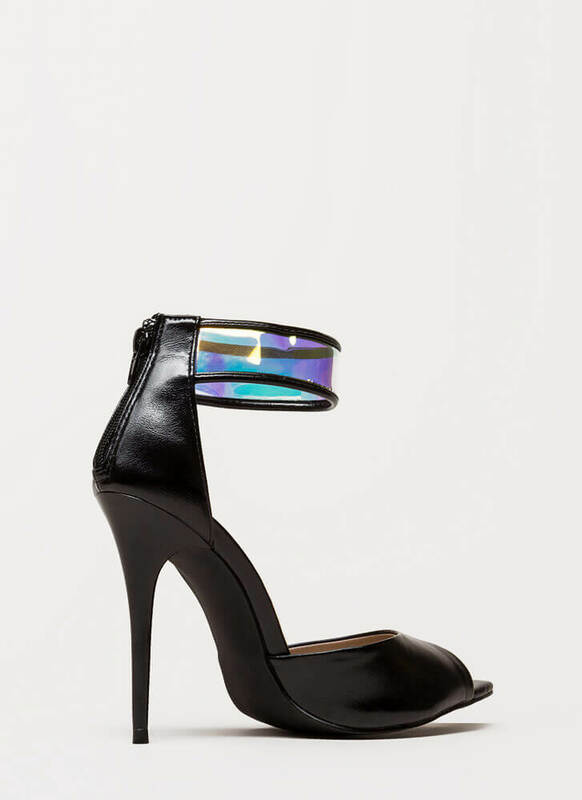 Vegan leather peep-toe heels feature a super skinny stiletto, a d'Orsay-inspired design with exposed sides, and a wide, semi-clear, iridescent ankle strap for a cuffed, holographic look. Shoes are finished with a ridged sole and a rear zipper for easy on and off.